Although it may not be the spring we have dreamed of during this incredible winter, we have spring inside The Touch. 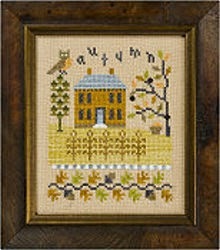 Beginning April 8, we will featuring a trunk show from Kelmscott Designs. In addition to a “mystery” chest of models, we are happy to show models from The Primitive Jewel. The darling miniature necklaces they create make great gifts or a special addition to your own accessory collection. Show lasts April 8 through the end of the month. 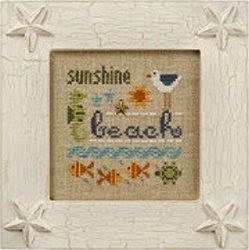 From Lizzie Kate, the A LITTLE BEACH kit transports you to sunny skies and warm breezes. Kit contains graph, fabric and embellishments. BE WHO YOU ARE, a timely saying from Dr. Suess, could be on the wall of each and every one of us. Love the bird and beehive worked into the design. 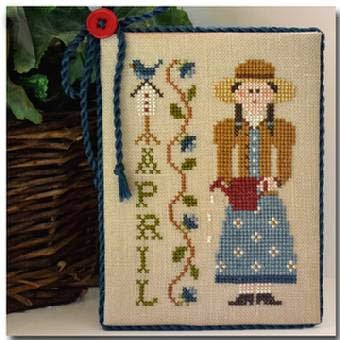 WINTER and AUTUMN, the final two months of the 4 SEASONS series are so colorful and cheerful, they will lighten your day just stitching them. 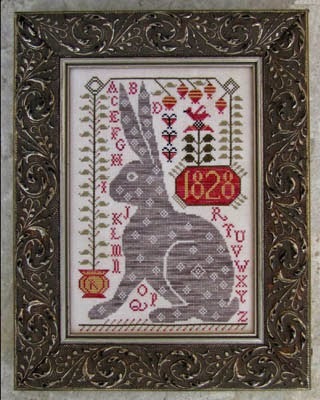 REBECCA, one of the cutest rabbits ever from Kathy Barrick, has a number of darling motifs in the background to enhance the happy bunny. Crossed Wing Collection has a new red hummingbird for 2014. ALLEN’S HUMMINGBIRD is a beautiful combination of red, green and gold. We also have the overdyed linen from Crossed Wing to complete the project. 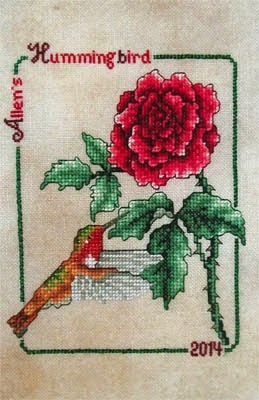 RHYMES & REASONS, a beautiful new sampler from Just Nan, combines a sweet verse with a number of beautiful borders. 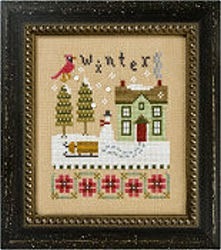 LITTLE HOUSE NEEDLEWORKS has been quite busy. 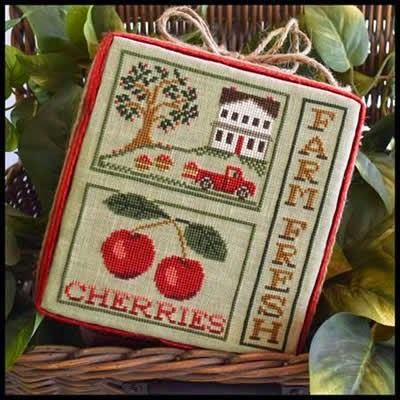 In addition to the APRIL CALENDAR GIRL, a little gardening girl who is fourth in the series, FARM FRESH CHERRIES shows farm house, farm truck and luscious cherries. 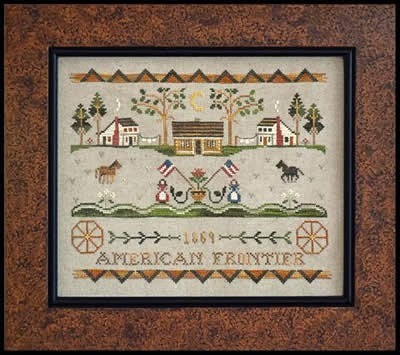 AMERICAN FRONTIER, part of the Little House Tumbleweeds series, includes cabins, horses, wagon wheels, colonial ladies and flags. Very American frontier! We have a number of trunk shows coming up in the next few months. Stay tuned.